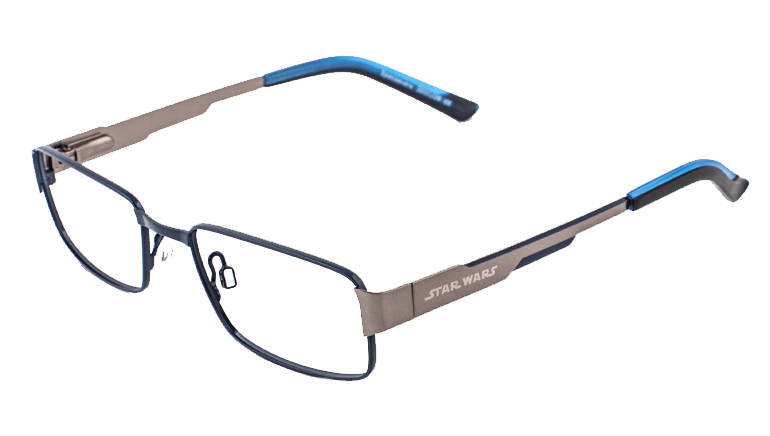 The Force is strong with these glasses. 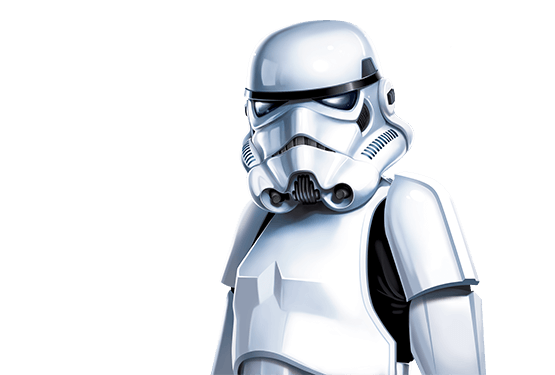 From Luke Skywalker™ to Yoda™, Stormtroopers™ to the Millennium Falcon™, every child knows about a galaxy far, far away. 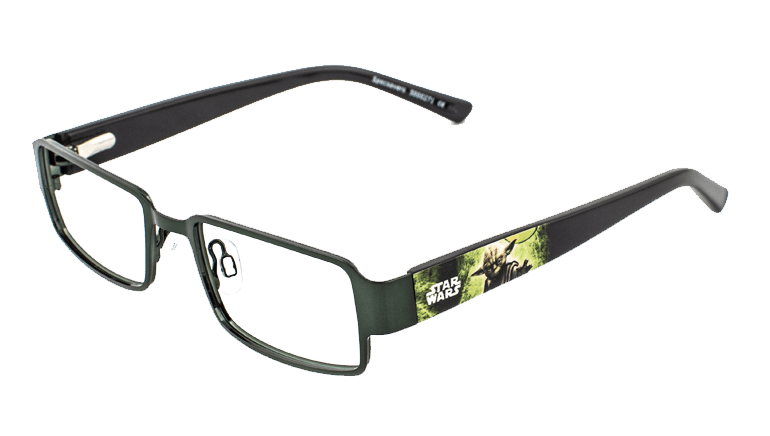 And now kids can use The Force with a pair of Star Wars™ glasses at Specsavers. 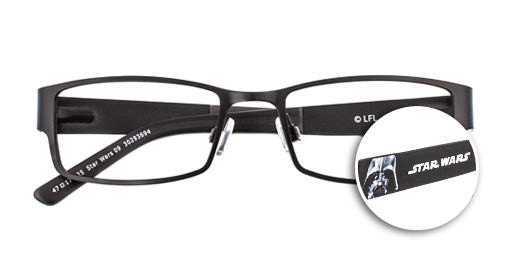 All of the Star Wars™ frames are part of our kids’ 2 for 1 offer. 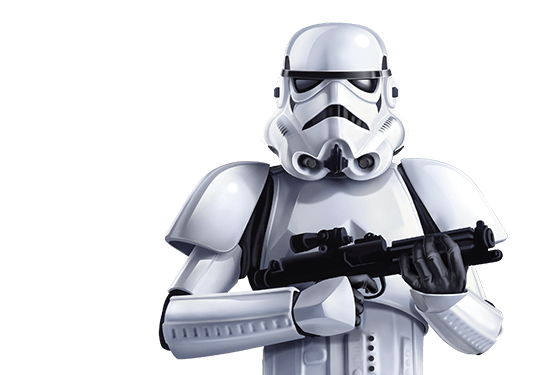 This frame is worthy of the Galactic Empire. 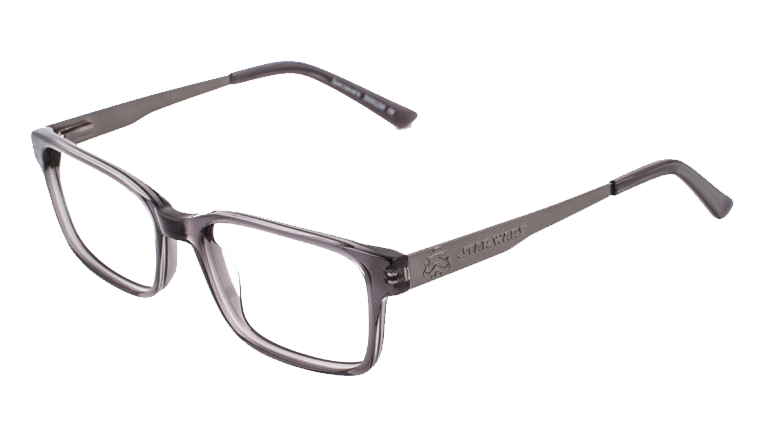 The acetate-plastic front is smoky crystal, while the satin gunmetal temple carries the distinctive, punched-out outline of an Imperial Stormtrooper’s battle helmet and Star Wars™ logo. SKU 30269095. 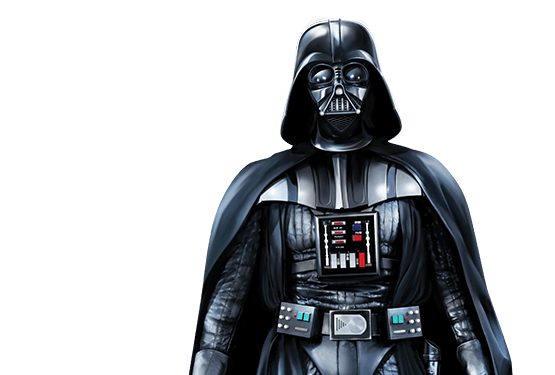 Darth Vader stares menacingly out from the opaque, smoked temples of this frame, alongside the iconic Star Wars™ logo. 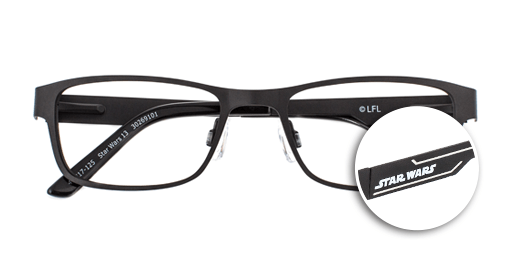 As befitting frames from the dark side, these are solid black. 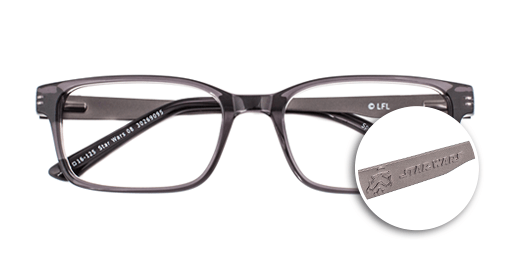 SKU 30293694. 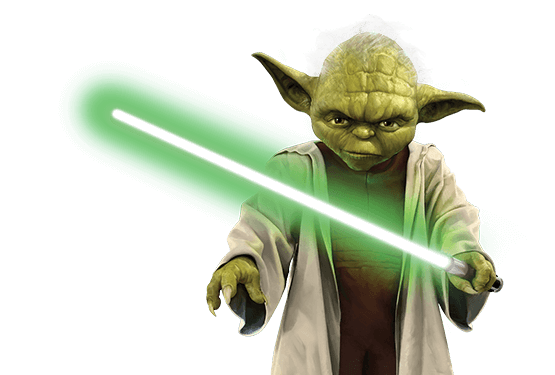 The wise Jedi Master Yoda inspires this design. 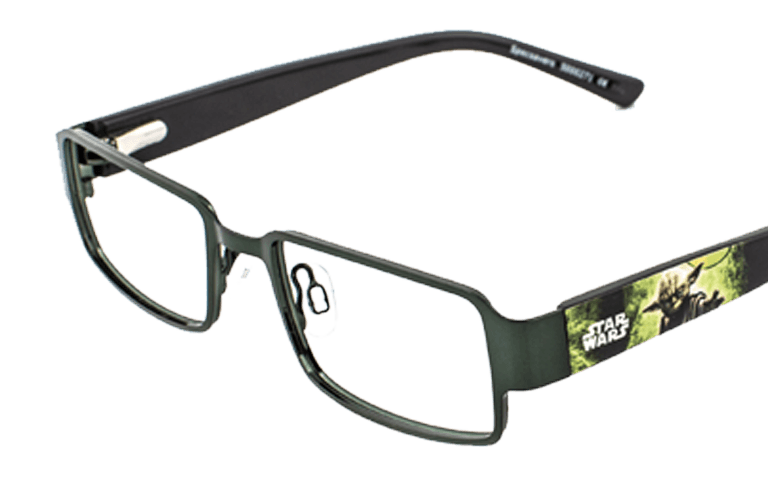 The sheet metal front is dark green, and in the printed detailing on the HD acetate temples, Yoda is pictured using the Force to pull Luke’s X-Wing out of the Dagobah swamp. 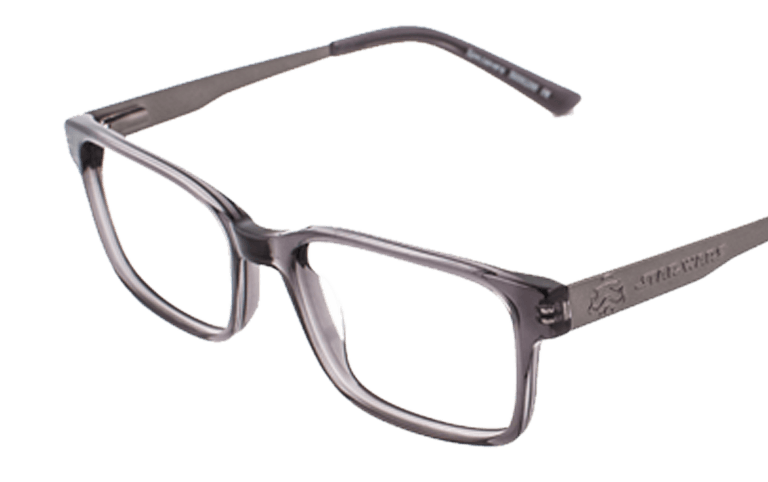 SKU 30293700. 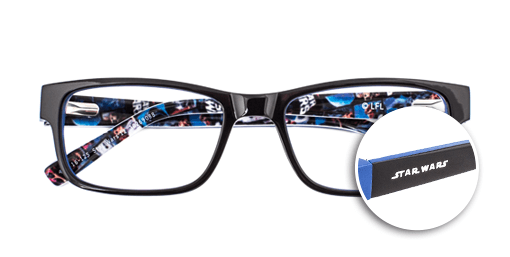 There’s more than a hint of the smart, loveable droid R2-D2 in this shiny, deep blue, metal-front frame. 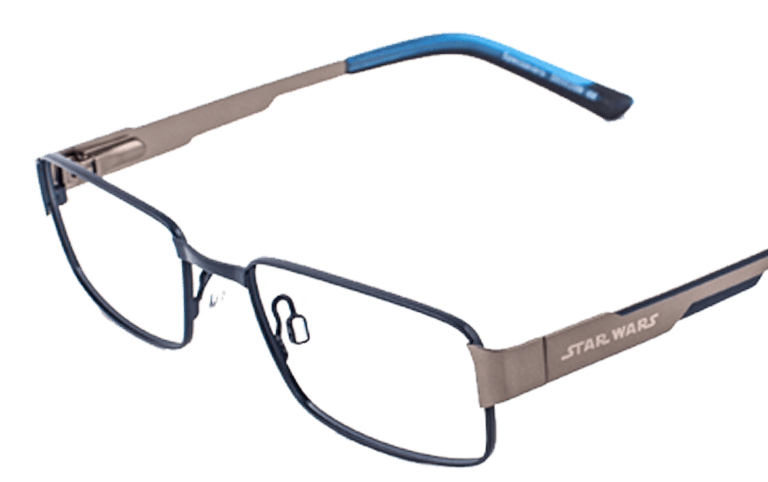 The satin gunmetal temples have acetate plastic tips, complete with blue-sprayed cut-out detailing and the lasered Star Wars logo. SKU 30269187. 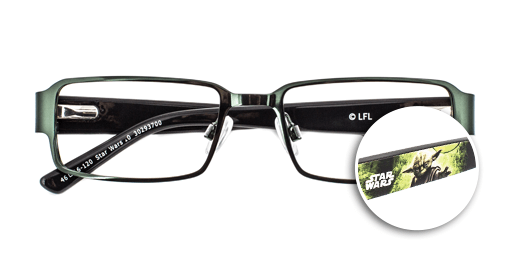 Plain black on the outside – a hint of the vastness of the galaxy – this frame carries an iconic poster print on the inner temple. 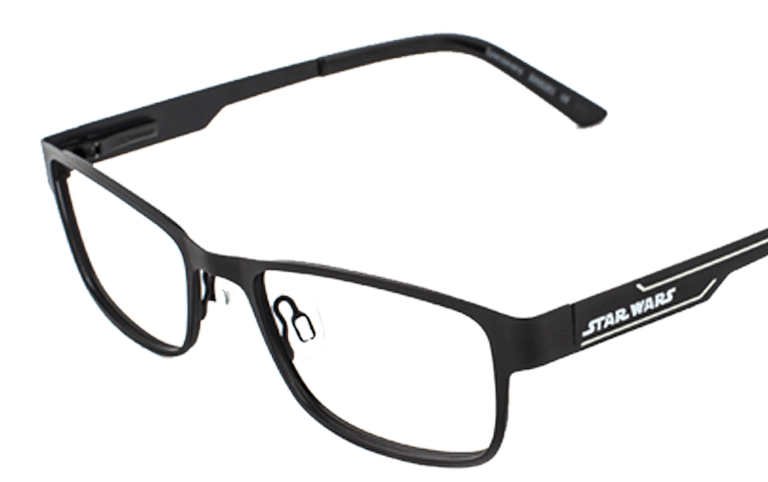 On the outer, the Star Wars™ logo shines out in metal from the dual-layered black and blue solid acetate-plastic frame. SKU 30269088. 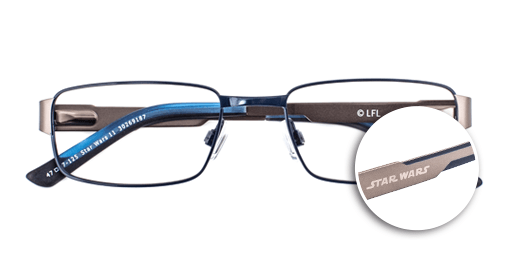 This is the frame you are looking for. 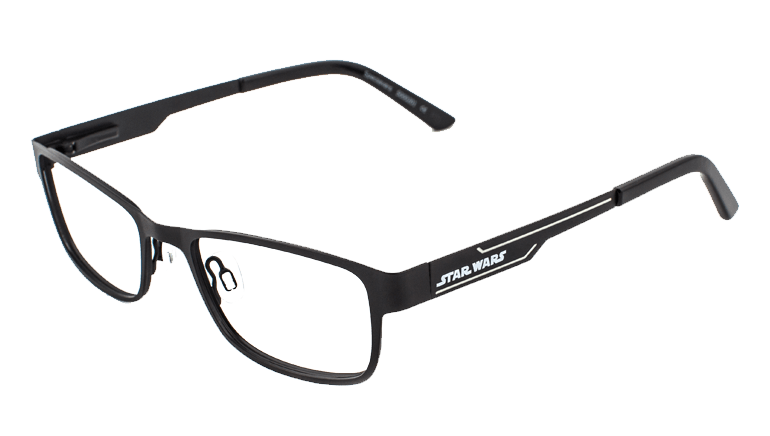 The front and temples are black, flat sheet metal – perfect for highlighting the glow-in-the-dark detailing on the outer temples, echoing the colour of hero Luke Skywalker’s lightsaber. SKU 30269101.